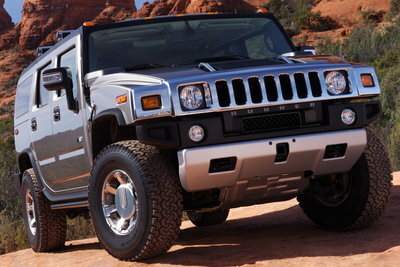 For those who want the ultimate statement of SUV ownership, Hummer has the H2. A 6.2L V-8 cranks out almost 400 hp via a 6-speed automatic. The H2 has a full-time AWD system and a 2-speed transfer case for low speed off-road adventures. The H2 is available as a wagon and SUT (4-door pickup).